I've been thinking of booking some experience days recently. You only live once, after all. It's made me look into a few things that I'd love to do but am far too scared, so the question is should I face the fear and do it anyway? Experience days are so much more than meets the eye now. It's like experience days with into the blue, yes you can get your traditional adrenaline pumping, fast car, thrill seeking experiences but they also offer so much more than that. How about a chocolate making class? Learn the history of chocolate, how to tell the quality by taste and getting to combine some amazing flavours. You even get taught how to create your own amazing chocolates and decorate them. Fancy something more relaxing how about a luxurious day at a spa with a champagne afternoon tea? Imagine treating yourself to a day of relaxing in hot tubs and steam rooms, with a few treatments such as massages and manicures. All that followed by finger sandwiches, cakes and champagne. Would you ever want to leave!? One thing that did surprise me about 'experience day' sites was that not only do they offer more than I imagined but they also offer things such as music classes, photography classes and a chance to try out professional DJing! I know I'm planning on booking a day doing something sooner than later, you only live once so go big or go home! 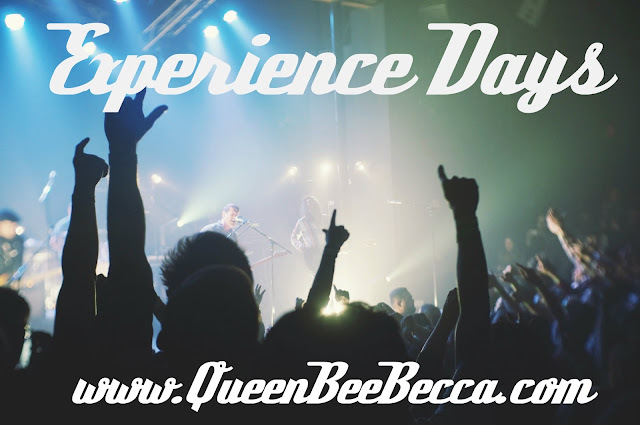 Have you been on any experience days? What were they?